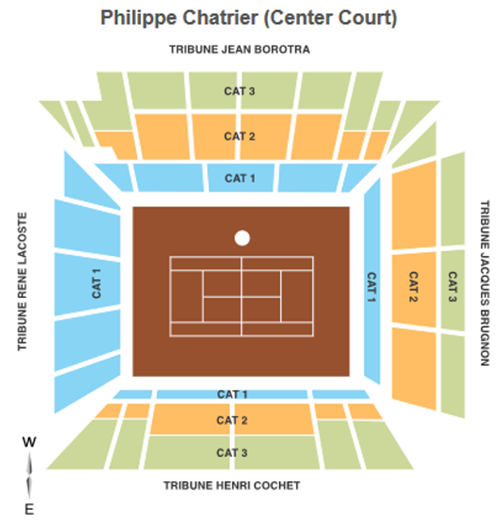 French Open tickets are super popular, but we’ve got access to tickets from top providers to get you in the stadium. If you’re not familiar with these ticket categories, fill out the form to the right or give us a call and we’ll get you squared away. The Stade Roland Garros, “Roland Garros Stadium” in English, is the tennis venue in Paris, France where the French Open is played every year. The venue is named for World War I ace pilot Roland Garros, a national hero who was also the first aviator to fly solo across the Mediterranean Sea. The site of the French Open is more than one stadium, it’s a whole complex with twenty courts and three large stadiums, as well as a restaurant and bar. There’s also a national training center and a tennis history museum – Tenniseum.